Most cavy owners know that their piggies can eat strawberries, blueberries and blackberries. It may come as a surprise to find out that guinea pigs can also eat cranberries! 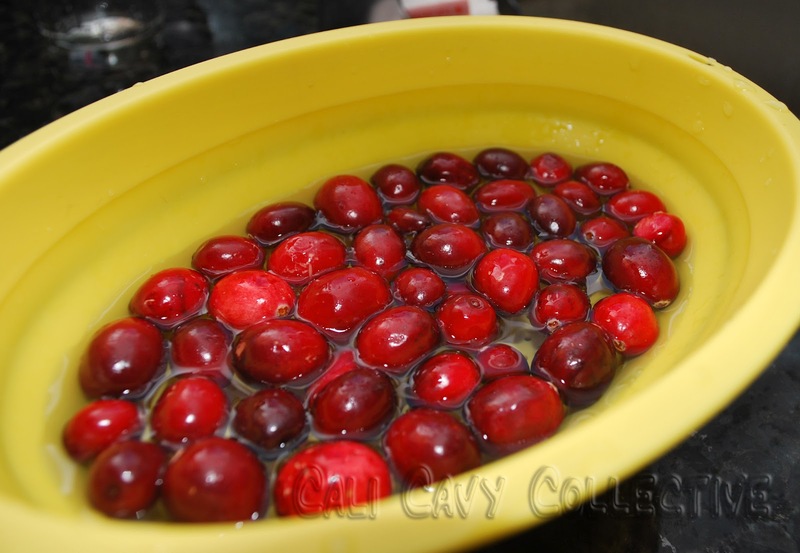 Of course, cranberries should be given fresh and uncooked - steer clear of dried cranberries, which can be high in sugar. Also, cranberries can be cut in half to make it easier for your pig to eat. As an added benefit, it is well known in the cavy community that plain, natural, unsweetened cranberry juice can help if your guinea pig is prone to UTIs (urinary tract infections). 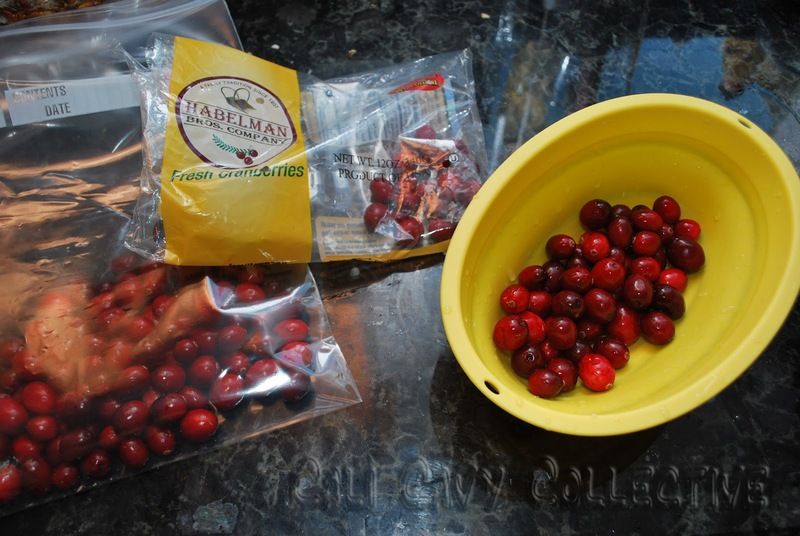 Since cranberries are a seasonal fruit that are typically only available during the fall and winter months, our humans buy several packages at once to freeze for us to eat later. 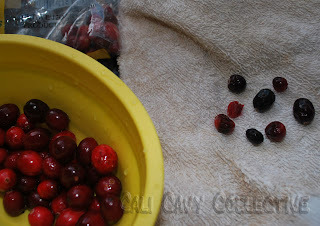 First they go through all the cranberries, making sure to pick out and discard any that are soft, shriveled, squishy or discolored. The remaining cranberries are washed and thoroughly dried. 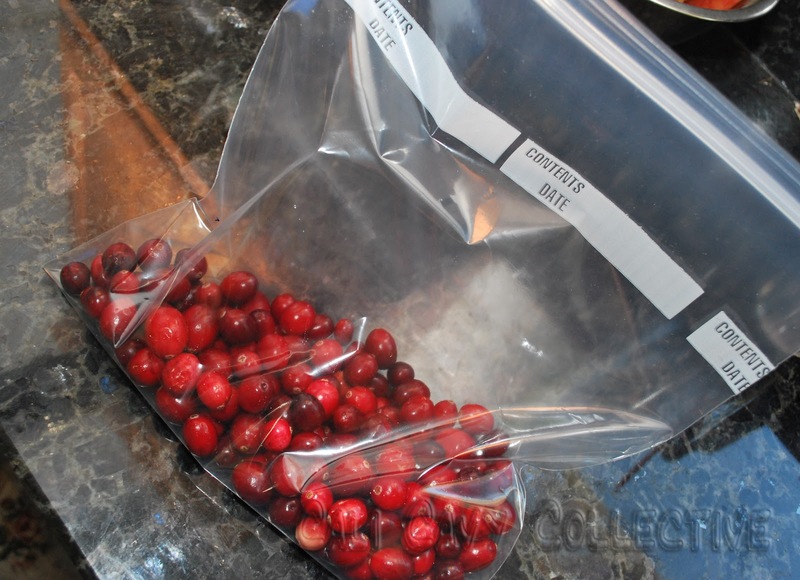 The dried cranberries can then be put into a tightly sealed plastic bag, and stored in the freezer for up to a year. This makes it easy for you to grab a few to give to your piggy when needed. Just make sure to let the frozen cranberries thaw first! My most recent girls love cranberries. Some others didn't. I've tried freezing them in the past, but I find they lose most of their wonderful crunch. Your pigs don't mind the frozen berries? So many things can be obtained year round. It kills me that cranberries are around for such a short time! PaintedThread, my girls don't mind thawed cranberries too much - some of them aren't as enthusiastic, but they will still eat them after initial sniffing (especially when they see their cagemates eating them). Since fresh cranberries are rarely available, I reasoned that its better to have some on hand rather than none! Mopsy, hope your bunch will like them! If not, at least you will get to enjoy seeing the expression of extreme disapproval on Boomer's furry face. My three Guineas LOVE fresh crispy cranberries!